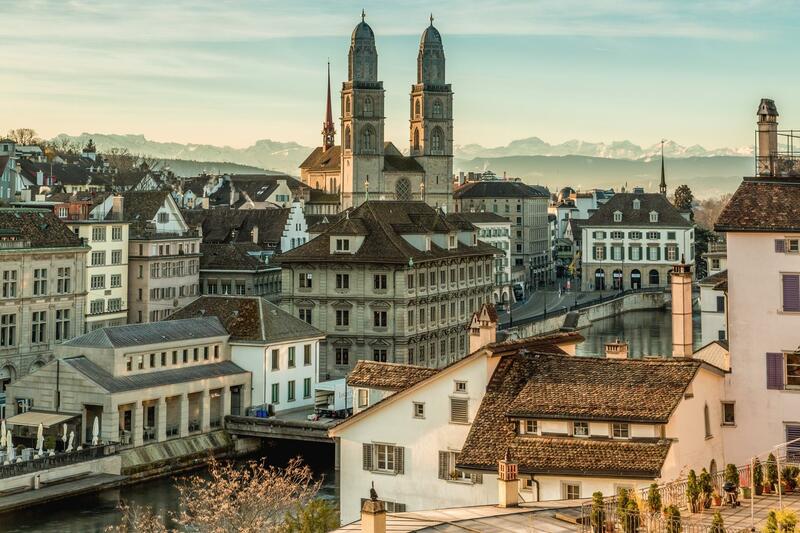 Zurich has been a captivating European destination year after year for thousands who flock to this international hub for business and pleasure. 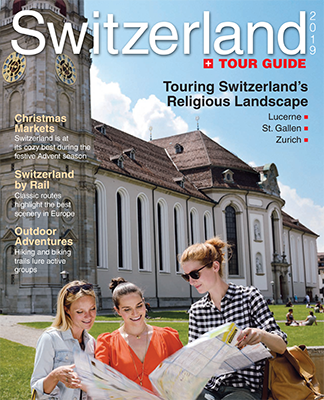 Zurich is also the starting point for many religious pilgrimages in Switzerland and is especially prominent now with its multi-faceted celebration of 500 Years of the Reformation, which starts in 2019 and continues for two more years. 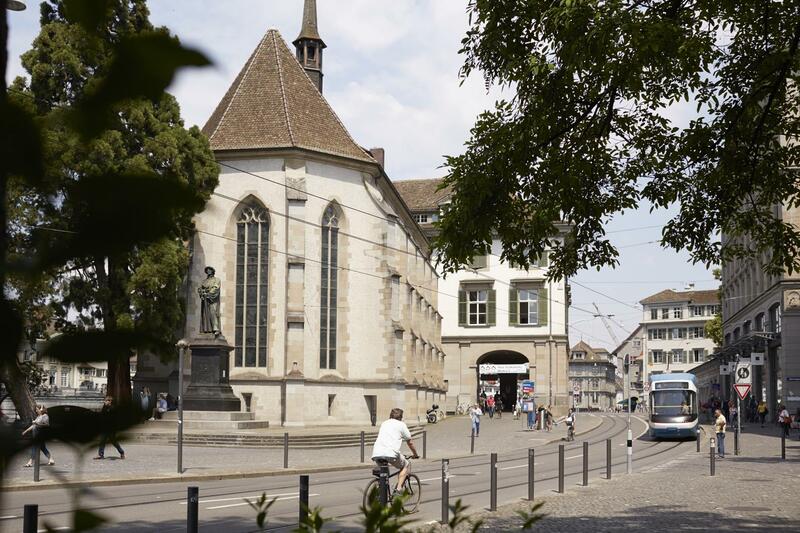 Numerous events relating to the Reformation will be held through March 2019 at the Schauspielhaus, Zurich Opera House, Theater Neumarkt, Zurich University, National Museum and many other venues. 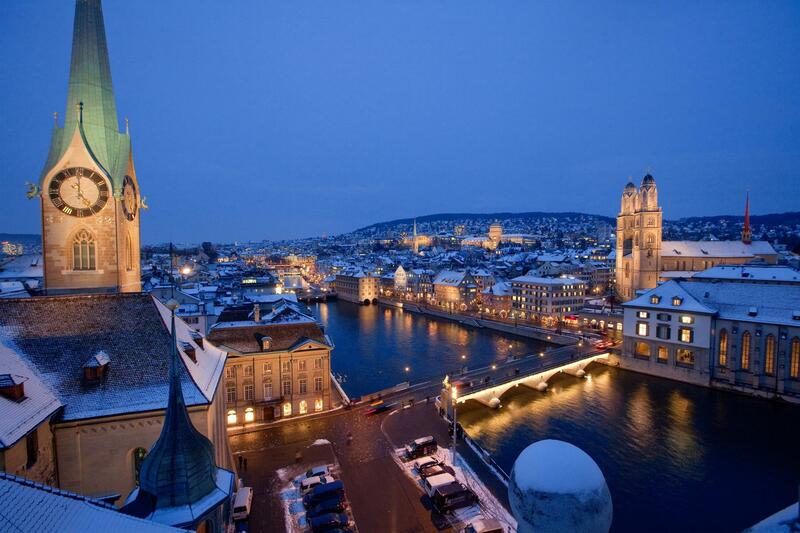 Zurich was the first city to embrace the Reformation and became the cradle of the Reformed Church. In 1519 Huldrych Zwingli came to Zurich to work as a pastor and began preaching a new interpretation of the Word of God. He shared Martin Luther’s view that everything that was not mentioned in the original version of the Bible should be banned from religious life. Zwingli advocated a new work ethic – diligence, discipline, thrift and frugality – and introduced a social welfare system to look after the poorest and most disadvantaged people. Zwingli’s close followers, the Anabaptists, had begun a movement spread throughout Switzerland, Germany and the Netherlands, and gave root to the modern-day Mennonite and Amish communities in North America. The Zurich City Council in 1519 placed orders with the print shop of Christoph Froschauer—the first printer in Zurich— and it’s said the Zurich Reformation had its beginnings there, as ideas of the Reformation disseminated from the shop, along with the famous “Zurich Bible.” Between 1530 and 1585 the print shop was one of the foremost publishing houses in the German-speaking world. Today in Zurich, many references and memorial sites bear witness to the Reformation.These include churches, statues and places where the reformers lived or preached. A guided tour through the historical Old Town is an absolute must for anyone interested in the groundbreaking religious movement. The tour also highlights the importance of Protestant theologian Heinrich Bullinger, who was responsible for sustaining the Reformation in Zurich. Five Zurich churches played key roles during the Swiss Reformation: the Grossmunster, Fraumunster, Predigerkirche, Wasserkirche and St. Peterskirche. The Grossmunster, a Zurich landmark, is said to have been founded by Charlemagne; legend says the church was built on the graves of the city’s patron saints, Felix and Regula. The stained-glass windows by Sigmar Polke, the Romanesque crypt, choir windows by Augusto Giacometti, bronze doors by Otto Munch and the Cloister Reformation Museum are just some of the highlights of the church. It was there that Zwingli preached a new brand of Christianity in the early 16th century, one that would change the face of Switzerland and Protestantism. Founded in 853 by King Louis the German, the Fraumunster with its convent housed the female members of the aristocracy of Europe. The convent enjoyed the patronage of kings, and the Fraumunster abbess had the right to mint coins in Zurich into the 13th century. Ownership of the church and convent passed to the city of Zurich after the Reformation. Key architectural features of the church include the Romanesque chancel and high vaulted transept. Of special interest are the windows by Chagall and Giacometti. St. Peterskirche was another landmark in Swiss Reformation history, being the home of Zurich’s first appointed Protestant pastor, Leo Jud, a close friend of Zwingli. Originally a Dominican church, the Peterskirche became Protestant during the Reformation. In spite of the long history of St. Peterskirche, the church’s attempt at modern relevance makes it stand out. The Wasserkirche (“Water Church”) was originally built on a small island where, according to legend, the city’s martyrs, Felix and Regula, were executed by the Romans. This Late Gothic church was completed towards the end of the 15th century and was regarded as being particularly holy. Renovated in 1942, the church is now used for religious and cultural purposes. Particularly attractive are the choir windows by Giacometti, which contrast the life of Jesus Christ with the life of modern man. The unassuming office building at Kirchgasse, No. 13, belies the importance of the work that was accomplished within its walls. This is the Helferei, the office where Zwingli studied and wrote his sermons. The small room that served as his office is located upstairs, unaltered since the great Swiss reformer occupied it. The rough, wood-paneled walls and sloping wooden floor appear just as they did in the 16th century, as do the thick glass windows facing the garden. For information on guided city tours focusing on the Reformation, visit www.zuerich.com/reformation. Groups can take a popular two-hour walk through the Old Town to search for clues to the city´s 2,000-year-old past in its hidden alleyways and picturesque squares. Then there’s the famous Bahnhofstrasse, which sports upscale shops, restaurants and Switzerland’s finest chocolates, and Lake Zurich, which invites water sports and offers boat tours. 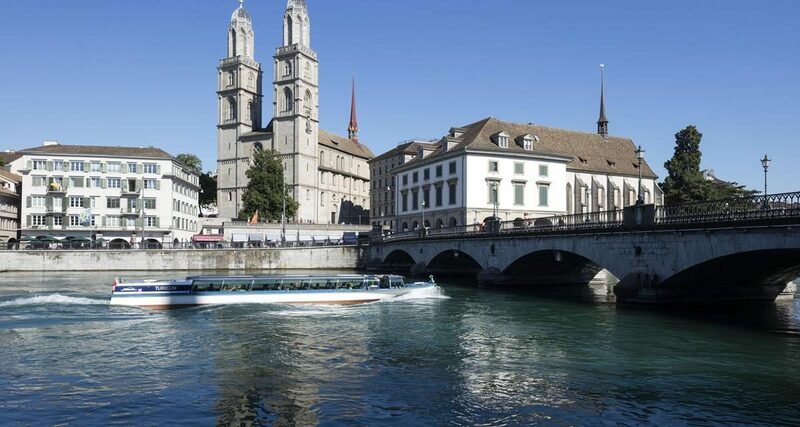 Zurich offers visitors a mix of unique activities and attractions waiting to be discovered, including over 50 museums such as the Museum of Art, Swiss National Museum, Zurich Toy Museum, Zoological Museum and Beyer Clock and Watch Museum. The city also has more than 100 art galleries, a world-class Opera House and numerous events that keep visitors coming back again and again.